In this burger debate it would be too easy to let the voice of Vegetarians go unheard. We weren’t prepared to let that happen. We spoke with Su Taylor of the UK’s Vegetarian Society. The Vegetarian Society is the oldest vegetarian society in the world and committed to promoting vegetarian choices and lifestyles. “Many people are becoming vegetarian because it matches the kind of low fat, high fibre diet recommended by dietitians and doctors. The environment is another contributing factor as people become more aware of the environmental effect of raising animals for meat. Some might also be concerned about wasting world food resources by using land to raise animals for meat instead of growing crops that can feed more people directly”. To vegetarians, eating a meat burger is environmentally unfriendly and unhelpful in the current food crisis climate. However, Su didn’t neglect burgers entirely. Instead she pointed us towards the Vegetarian Society’s approved range of veggie burgers. But are these any good? “Yes! But there are lots to choose from so it’s worth looking around the supermarket and your local wholefood shop” Su also notes the healthy aspect of these burgers. “It depends what it’s mae with and the way it’s cooked, but they can be much healthier. 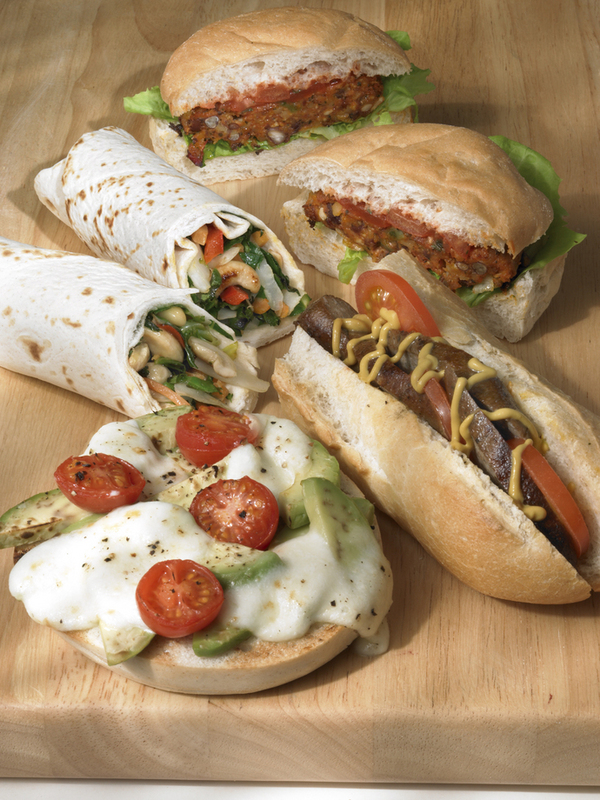 Veggie burgers come in all shapes and sizes nad are made from a variety of ingredients like pulses (Beans, lentils, peas, chickpeas), nutes, seeds, soya, Quron and wheat proteins“. What do you think? Do you agree that vegetarian burgers might be healthier and more environmentally free than meat burgers? Is it ethically better to eat a Veggie burger than a meaty burger?